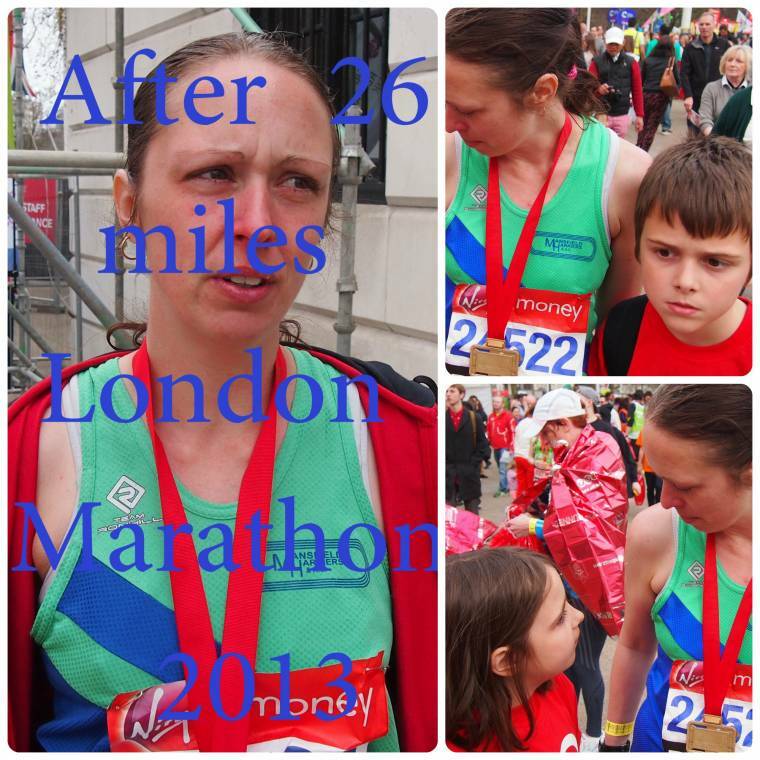 This year ~ My first London Marathon. Wow, I didn’t expect that to happen! should have done that different? I could that changed that!! Then came the idea I should really try it again as my first marathon and surly it was only a practise run? So by the time the ballot opened my husband had convinced me to try again!! “Come on I will enter with you, we can get fit together” he said!! Go down together, go to the start together and you wont be on your own this time!! Aww little did I know I was to get through and he wasn’t!! After the mad crazy thoughts of oh no what have I done? How will I manage it again? Will I cry so many times? Will my knees go again at 12 miles and cry the next 14? I am finally ready to start training ,,Yeah!! But now I am ready for the challenge!! Take all the excitement in!! see all the amazing sites!! Run around with my head held high and not hoping people wont see me crying!! High five all the spectators at the end of the mall!! And make my family proud!! But let the run streak begin..
Watch out London, I’m coming at ya!!! I hope you will soon be over the cold Claire! I am glad you are going to participate in the London Marathon again. I will be here cheering you on over here in Jamaica. I have sent you an email. Take care and have a great Sunday.